Dessert Night with Autism Theatre Project! DMR Adventures – Captain Louie, Jr.
DMR Adventures – Annie Jr.
DMR Adventures – Disney’s Beauty and the Beast, Jr.
DMR Adventures – Seussical the Musical, Jr. 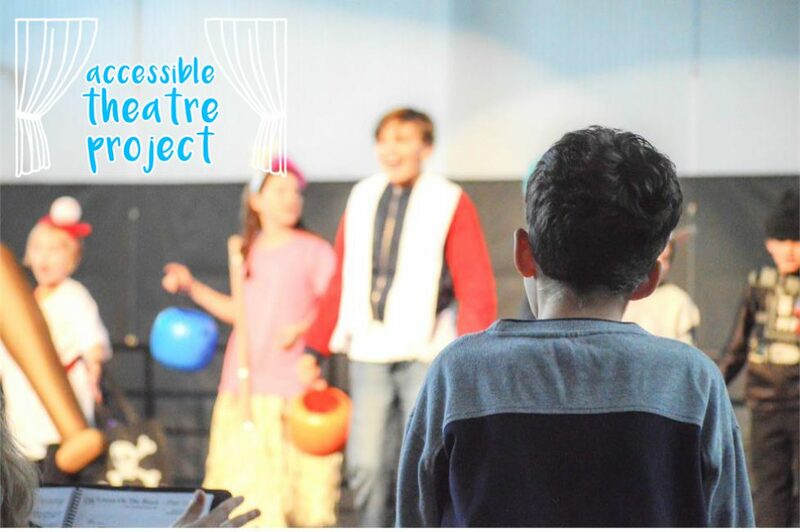 Accessible Theatre Project strives to offer safe, judgement-free environments for audiences who would benefit from accessibility accommodations. We provide inclusive theater experiences for neurodiverse audience members and their families by partnering with theater organizations to create sensory-friendly productions. Inclusivity: We believe that theater is a powerful medium for bringing people together. Through our accommodations we seek to bring theater experiences to everyone in an environment they feel comfortable in. Advocacy: We acknowledge that our current leadership team is made up of neurotypical individuals, and therefore we cannot personally understand the lived experience of all neurodiverse peoples. We seek to be effective allies and advocates by being responsive to the needs of our audiences and eliciting community feedback. Enthusiasm: All members of our leadership team recognize the impact that theater has had in our lives and is what brought us together as a group. We seek to foster relationships and a love for theater in the communities we work with. Sensory-friendly performances aim to provide a safe, judgement-free, and comfortable theater experience for children with autism or other sensory-related disabilities and their families. The show is performed as written, but with special accommodations to account for potential sensory challenges. Accessible Theatre Project on Instagram! We’re so excited to announce our first show of the season! Reserve tickets through our website. We have a big announcement to make... We at ATP have always been passionate about a mission of continually improving our program and our goals, in order to better serve the Charlottesville community and to set a precedent for other groups who aim to create sensory-friendly theater. In the same vein, we have decided that we are rebranding and will be changing our name to Accessible Theatre Project, as that name better fits our mission statement. Our shows have never been restricted to audience members with autism, and we believe in accessibility for anyone who needs it. As a result, we are changing our name to better reflect our goals as an organization which serves to improve the lives of all neurodiverse peoples. Thank you to all of our partners and audience members for an amazing season. We have even bigger things lined up for you in 2018, so stay tuned!